It is finally getting warm and I am in the mood for some really easy and simple chicken recipe that can be done in under 30 minutes from start to finish. 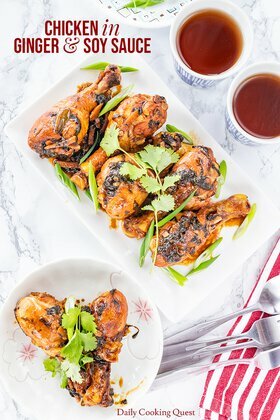 This hoisin & five spice broiled chicken is a really versatile recipe that you can cook in an oven broiler, or with a charcoal grill if you are in the mood for outdoor BBQ, and even pan frying! 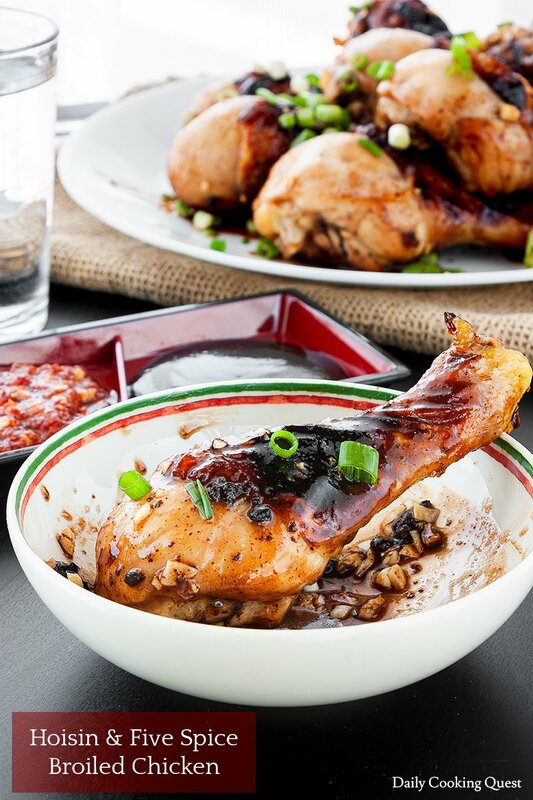 The key to this delicious chicken lies in the sauce. But as you can see, this marvelous sauce doesn’t need complicated ingredients at all. 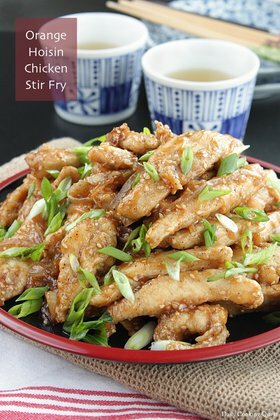 Just from the title, you know you will need some hoisin sauce and five spice powder. The rest is easy, just some brown sugar (dark is better, but light is okay too), Shaoxing wine, pepper, sesame oil, and garlic. And we are going to use this sauce to baste during broiling (or grilling), and also to coat the chicken once they are out from the oven (or grill). These chicken can hold their own without any need of additional sauce. But if you love some spicy kick, feel free to dunk them in some sambal oelek (or sriracha) and even more hoisin sauce. A bit of thinly sliced scallions goes really great with these as well. Preheat oven broiler, and line a rimmed baking sheet with aluminum foil. 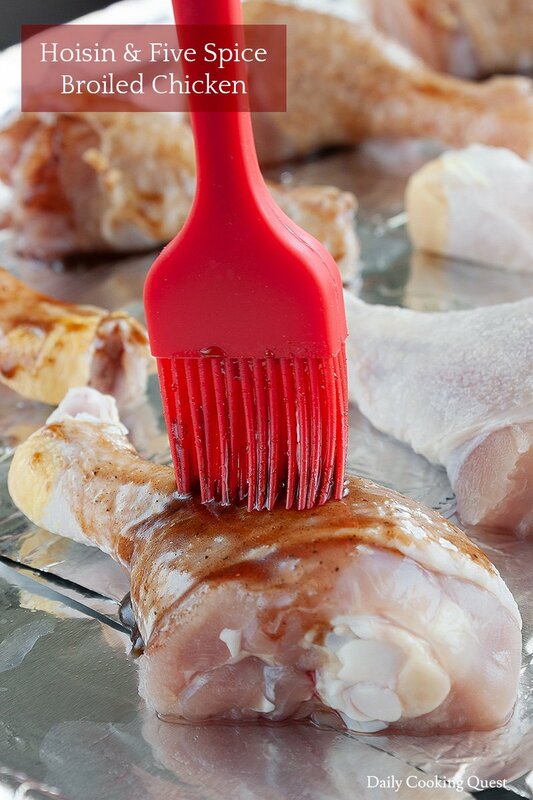 Sprinkle each chicken drumstick with salt, then arrange on the baking sheet. 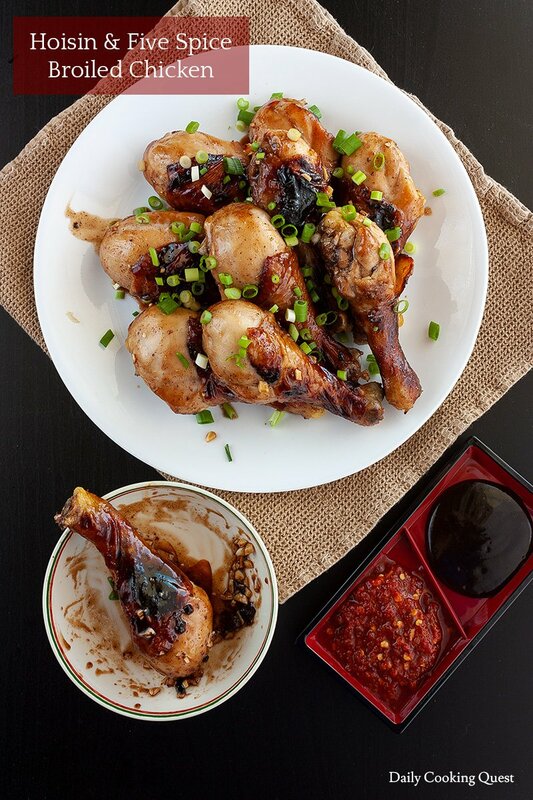 Mix together brown sugar, hoisin sauce, Shaoxing wine, five spice powder, pepper, sesame oil, and garlic. Divide this into two portions. We will use one portion for basting, and the other portion to coat the broiled chicken. Brush the top side of the chicken with basting sauce, then broil for 10 minutes. Flip the chicken to the other side, then baste the top side again with basting sauce. Broil for another 10 minutes. Your chicken should be cooked by the end of 20 minutes broiling time. If not, just broil again for a couple minutes longer. 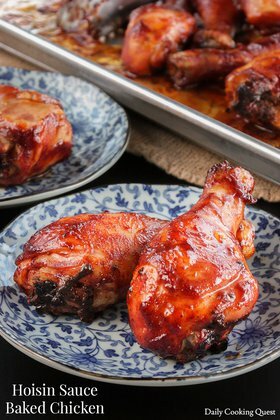 Remove broiled chicken from oven, then with a clean brush, give each chicken a coat of sauce that we set aside earlier. Arrange on a platter, sprinkle with sliced scallions, and serve immediately.